‘Bog isn’t a place for humans,’ says Luke Fowler, off-screen, to the eponymous star of ‘Bogman Palmjaguar’ near the beginning of the 30-minute, 2007 film. ‘It’s a wonderful environment,’ counters the self-christened Palmjaguar, a stocky, bearded, 57-year-old conservator of the waterlogged Flow Country in the Scottish Highlands, ‘and human beings can become a part of it.’ Anyone who has watched the Glasgow-based artist’s sequence of films since ‘What You See is Where You’re At’, 2001, Fowler’s skewed documentary about renegade psychiatrist RD Laing, knows that there’s a certain degree of metaphor at play in this exchange. The boggy hinterlands, the cultural margins, are, in some sense, where virtually all the characters he has tracked locate themselves. Why Palmjaguar is out there, self-exiled among the curlews, greenshank, golden eagles and stags, provides the meat of Fowler’s film about him. In his answers to questions from the artist and from therapist Leon Redler (himself a compatriot of Laing’s), delivered from behind a sun visor or bird masks, a tale unfurls of an incestuous grandfather and abused mother, of Palmjaguar being classified as mentally ill and himself a potential abuser. A shadowy private detective enters the narrative, along with external suggestions that Palmjaguar suffers from paranoid delusions of persecution, and reports of recent sectioning. 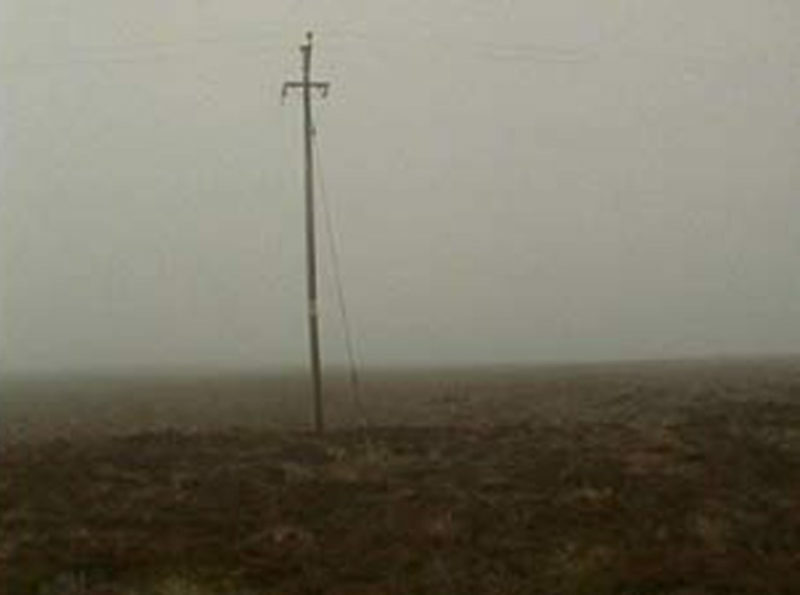 Contesting voices fill the air, as so often in Fowler’s films, in place of an accumulating argument. 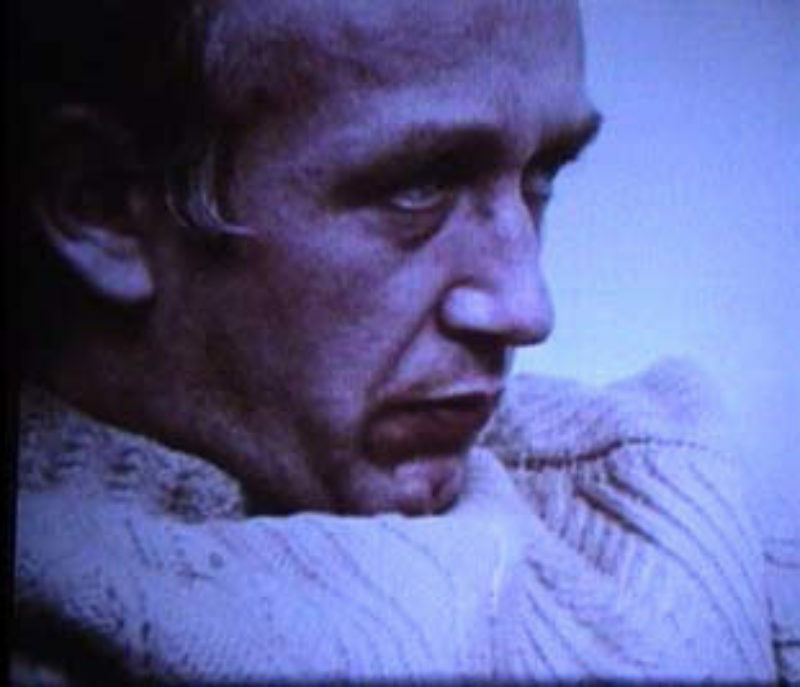 His filmed footage, too, adheres to enduring fringe notions: his flipped and accelerated imagery of the austere and beautiful peat bogs (also known, Palmjaguar notes, as ‘the patterned land’ for its variety and rhythm of topography), his frequently impressionistic approach, and his transitions into all-out materialist abstraction, situate Fowler loosely in a continuum of avant-garde filmmakers with Stan Brakhage at its head and the British Free Cinema movement at its centre. That the aesthetic seems faintly questionable, attractive but halfway calcified, is probably not accidental. The artist, it seems, wants not quite to romantically reinforce the idea of the radical gesture, of oppositional difficulty, but to put it openly in play, where it can be subjectively interrogated. This, you might say, has long been Fowler’s modus operandi . In the assiduously arranged collage of handheld archive film that is ‘What You See…’, the disapproving testimonies to Laing’s practices and his establishment of asylums in which mental patients and therapists lived together (East London’s Kingsley Hall being described as ‘one of the most unsafe places in the world’), feel almost equal to the approving ones. (Admittedly, a powerful counterweight is offered by the compressed transition from the disturbing footage of ‘Mary’, alternately catatonic and screaming, to the adjusted self she later became via a species of art therapy). This film, for all its inherent clouding of position, is the most traditionally documentarian of Fowler’s works; again though, a parallel language asserts itself. From early on, there’s a gristly sonic underlay of looped noise, telegraphic bursts of hum, and noisily mismatched room tone. The film ends as an abstraction, a patchwork of raw and scratched celluloid. It’s partly this disjunctive material—along with the work’s placement in galleries, obviously, though it has also been shown in cinemas—which positions Fowler’s work most overtly as art. The blank, scratchy non-imagery could be the evocation of a misfiring mind, but otherwise you might think that it’s what stops ‘What You See…’ from being, potentially, an errant television documentary. Bear in mind, though, that the TV doc is virtually dead, pole-axed by widespread, ridiculous, profit-driven and ratings led demands that documentary makers have their argument in place before shooting footage. The medium now lives, we know, in galleries and cinemas, where it can be given time and/or money. If Fowler can be accused of nostalgia, it’s for the heyday of the documentarist as funded auteur, of Frederick Wiseman, Alan Clarke etc. And when documentary moves into the art sphere, in Fowler’s work at least, it is sanctioned to turn slippery, gravitating to grey areas. Rather than announcing, it can infer. 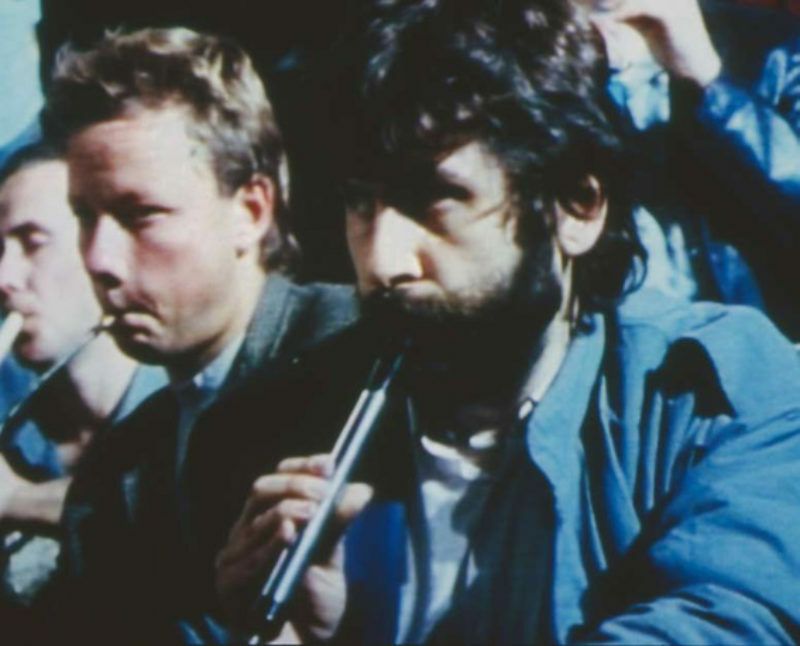 Take ‘Pilgrimage to Scattered Points’, 2006, for example, Fowler’s 45-minute assemblage of vintage footage (some borrowed from Hanne Boenisch’s 1971 documentary, Journey to the North Pole ) and self-conducted interviews around the contentious creative life of Cornelius Cardew. Narrating the development and collapse of the English composer and theorist’s groundbreaking Scratch Orchestra, whose defiantly amateur musicians played a post- Cage-ian form of visual notation whose sources included diagrams for weaving and copies of the Radio Times, the film leaves one both impressed by Cardew’s commitment to radical culture and dismayed at how messy it all got. 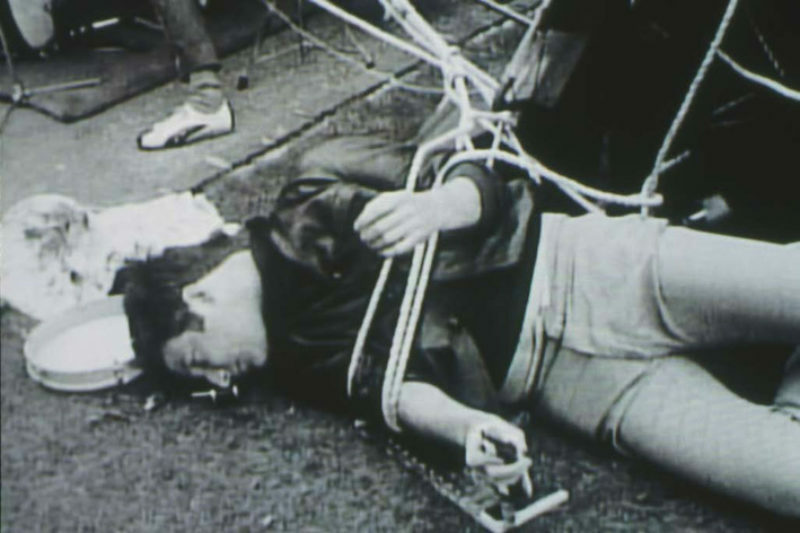 Cardew became a committed Maoist and saw his aggressively challenging music (the instruction for ‘Sweet FA’, 1971, was ‘be as obscene as you can until the authorities intervene’) as a study in human cooperation: in the safe working-out of how we deal, as a society, with the intolerable. The politics undid the music. Flag-waving for Communism, and an exploratory avant-gardism that saw the historical avant-garde as a tool of the bourgeoisie and yet wanted to reach the masses, did not in the end go together. And Cardew’s life, his passage to the title’s ‘scattered points’, now reads uneasily. (Fowler avoids the conspiratorial inference, rehearsed by others, that his 1981 killing by a hit-and-run driver was a contract job). But other things come across alongside ‘the harm it did to human relationships’, as one interviewee puts it: the inspiring sense of a life lived in absolute contradistinction to homogenising commercial culture, and the yearning for a viable strategy of opposition, even if the film doesn’t necessarily display one. It’s this continual, inferred ache to not be swallowed by the mainstream, to wield ways of living as kinds of weapons, which links Fowler’s films, even as they find only partial hints to its realisation in the lives of others. He wants a resistant culture to exist, you sense, but he also can’t honestly deny that wanting is only half the struggle. That thought is expressed, in a tight metaphor, in ‘2:13 (Hidden Knowledge)’, 2007, a softly verdant 8mm study of changeable light on a tree-shrouded patch of lake, named for its length, with an experimental soundtrack of bells and drones. It suggests a protected place, an economy of awareness, hard to find—and also the sense that it’s a filmic fiction. A similar ambivalence animates ‘An Abbeyview Film’, 2008, a 16-minute string of milky, semi-static images shot around the streets of a small Dunfermline community, which brief snatches of dialogue embedded in it suggest is subject to the kind of regeneration (expensive flats, superstores etc) which will price out the locals. The soundtrack, a single song by musician Richard Youngs, is full of ponderous piano chords, a mood both defiant and sad, and lyrics like ‘Warriors see through battle eyes’. The defence is on, but it sounds heartbroken. ‘Another Day of Gravity’, 2008, also soundtracked by Youngs, seems to be filmed in his modest flat. It pays attention to textures: dusty cornices, warmly painted though somehow dim walls, old clothes, accumulated books, instruments: the plain warp and weft of the resolutely independent musician’s life. It flirts with romanticising, but finally comes off as objective: this is what the effort looks like, day-to-day, the film says, as Youngs incants: ‘I was born with a scowl / now I’ve got to smile / bring on adventure.’ ‘Music is used to serve the ruling class and to hold the subject class down,’ Cardew argues in ‘Pilgrimage to Scattered Points’. In Fowler’s art (the artist is also a musician) music is the locus for a sustained life lived away from the centre. 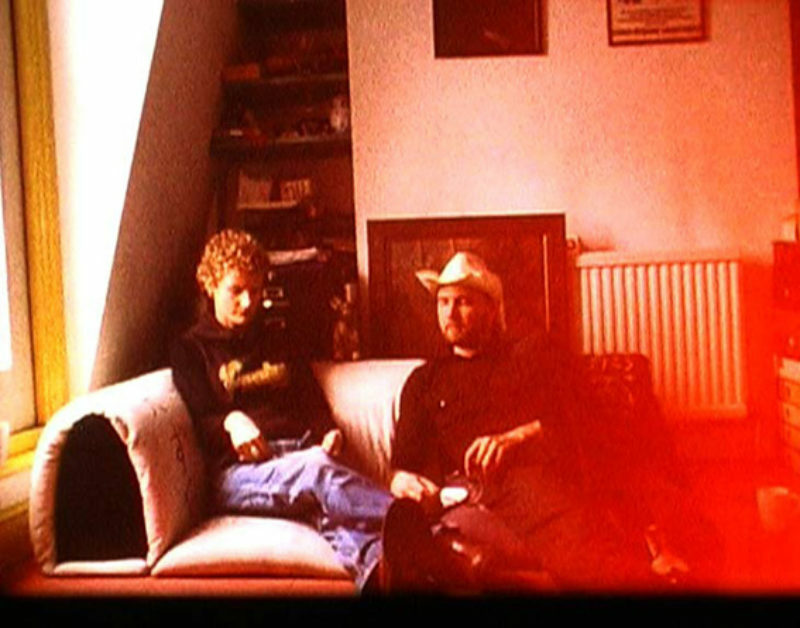 This suggestion receives its fullest expression in ‘The Way Out’, 2003, his film (with Kosten Koper) about the elusive English musician and gadfly Xentos Jones, formerly one of punk group The Homosexuals and since possessor of numerous pseudonyms, most recently Harmone. Phraisyar (under which name he now broadcasts on Resonance FM). 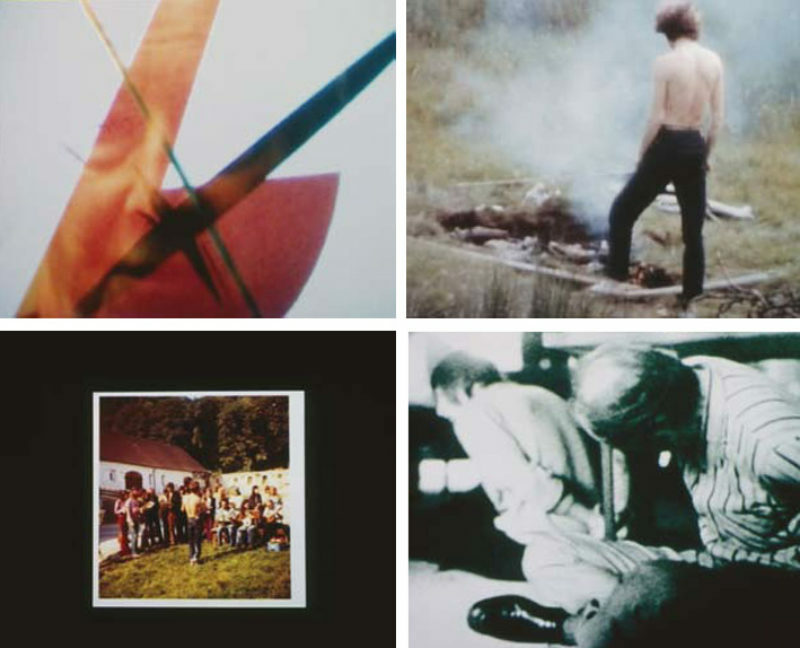 The film collages together interviews, a panoply of music, and, it seems, Xentos’s own experimental films (and comically pseudo-academic analyses of same), which often revolve around mock-ritual activities; and while its subject comes off as a moving target, exactly what he’s achieved beyond a perpetual deferral of capture remains slightly obscure. ‘Of course, I want to break the order. It seems so rigid’, says Xentos at one point. And, later, of Fowler’s filming him: ‘I’m going to art galleries, being packaged and historified [sic]… I’m annoyed with myself for accepting to come here.’ It’s this kind of unstoppable, energetic, slightly knee-jerk contrarianism that Fowler observes, a sort of residual energy in (or, really, slightly outside of) society. The shift in his work, of late, appears to have been away from reflecting others’ deployment of this energy—if Fowler makes documentaries now, it’s using his own footage, his own interviews. Even so, he engages far less with figurehead oppositionists—and towards instantiating it himself, both on his own and, frequently, in models of collaboration and loose creative communities. At the Yokohama Triennial last year, I saw Fowler get up onstage with Toshiya Tsunoda for a performance. 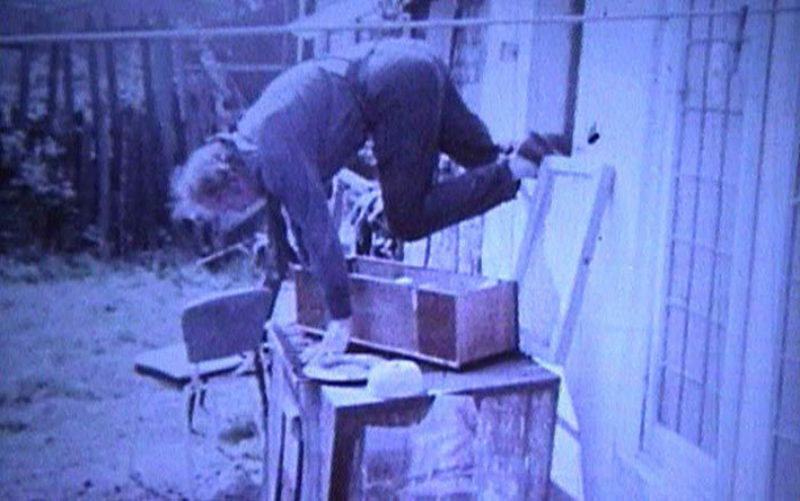 The brief, though sometimes lengthy-feeling, event alternated between the Scotsman (sporting culottes, and wonderfully described in the exhibition catalogue as ‘one of the most intently watched men in Great Britain’), manipulating snatches of recorded monologues, and the Japanese sound artist slowly pushing progressively shorter lengths of amplified metal pipe off a table onto the floor. The performance had a measured, even suspenseful rhythm, scads of texture, and a good deal of delicate, provocative obliquity—qualities it shared with the pair’s collaborative installation, ‘Composition for Flutter Screen’, 2008, whose alternating passages of abstract film and fragmentary views of sky, water and butterflies were projected on a billowing, fan-blown sheet. The piece is sensuous yet tough to parse. It feels like a proposition, experimental : a few steps past tentative but held short of resolution. In a 1973 interview with Willoughby Sharp for the magazine Avalanche, the American artist Ed Ruscha described the element of transformative surprise that he looks for in art as a ‘huh?’ quality. Fowler’s recent works, with their gravitation towards abstraction and seeking to reinvigorate a modernist language of raw, colliding materiality, have plenty of ‘huh?’ about them, marking a steady shift from the diagnostic to the exemplary. What matters, in the context of what came before, is arguably that they wave a flag for a lineage of discontent by sustaining that moment of perplexity, of sitting apart from the mainstream. And what may matter even more is that Fowler’s art is not certain of its legitimacy in positioning itself there. The margins are a vexed, transitive, deeply imperfect place, his art suggests. It may be that illuminating them is most worthwhile in terms of what it says about why we might want to go there; what it says about the pressures emanating from the centre. (There’s an argument to be made that the real subject of Fowler’s work is not the edge, but the aggressive world that sends a practitioner towards it.) In any case, the margins are not about fixity or certainty, for that way lies co-option, containment, neutering. If we wish our speech about marginality to remain marginal itself, or at least to sustain the possibility of an enduring alternative, it may be necessary to speak in an uncertain voice.